17-year-old Gwen Castle’s Biggest Mistake Ever, Cassidy Somers, is slumming it as a yard boy on her Nantucket-esque island this summer. He’s a rich kid from across the bridge in Stony Bay, and she hails from a family of fishermen and housecleaners to her island’s summer population. Gwen dreams of getting off the island, and a summer job working for one of the elderly residents might just be her ticket to the good life. But what will it mean for Gwen’s now life? Sparks fly and secret histories unspool as Gwen spends a gorgeous, restless summer struggling to come to terms with what she thought was true—about the place she lives, the people she loves, and even herself—and figure out what really is. 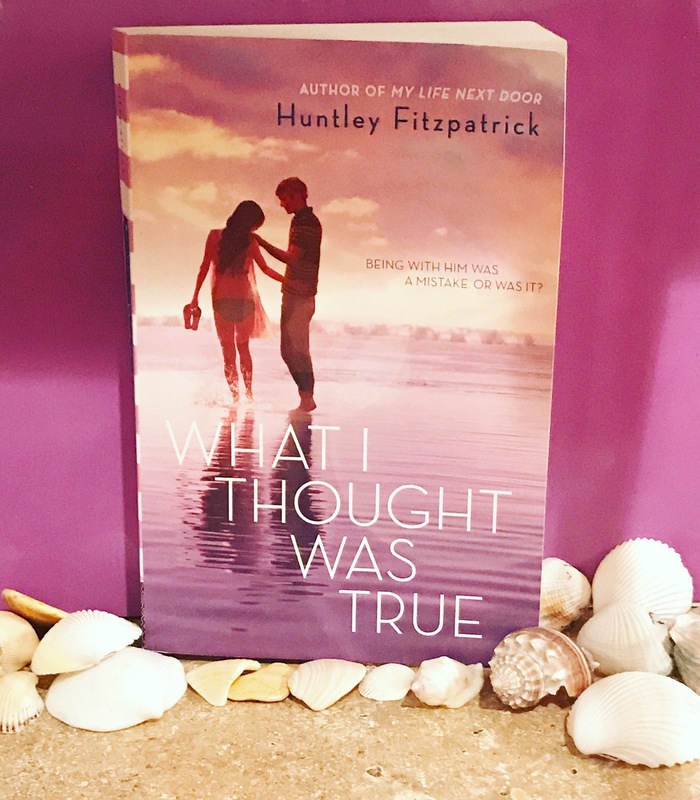 Fans of Huntley Fitzpatrick’s ‘My Life Next Door’ will not be disappointed with this summer beach read!! Gwen Castle is a great main character. What I loved is that she was flawed from the start, or at least she felt that way. I actually liked the past that she had with Cass and some of the other characters, because it made her seem more realistic (at least to some of the people who I knew in high school) and made her feel more dimensional. Her quick wit really rounded out her personality, and I loved how she stood up for herself when people talked crap either to her, or about her. Also the fact that she’s half Portuguese was really great as well! The contrast of Cass going from preppy socialite to yard boy on the island I found really cool and interesting, because it allowed us to see how much depth he had as a character, and his relationship with Gwen’s little brother Emory was really positive, not to mention adorable! Gwen’s cousin Nic and her best friend Vivien was a great addition and contrast to Gwen’s love life, and how they ended up at the end of the story felt more realistic — although I can’t say much else without giving the ending away! The mention of Breakfast Ahoy! (For those of you who haven’t read MLND, Sam worked there!) made me super happy, because I love any and everything MLND related, and I loved that we got to see another side of the town from that novel. Connect with the author! You can follow Huntley Fitzpatrick on Instagram at @huntleyfitzpatrick & on twitter at @huntleyfitz!